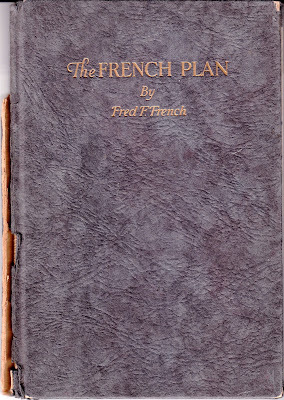 The French Plan, an innovative stock-issue concept that partly financed Tudor City, was created by Fred French in 1921. In brief, the French Company received no profits on a building until the investors had been paid back in full, along with a six percent cumulative dividend. 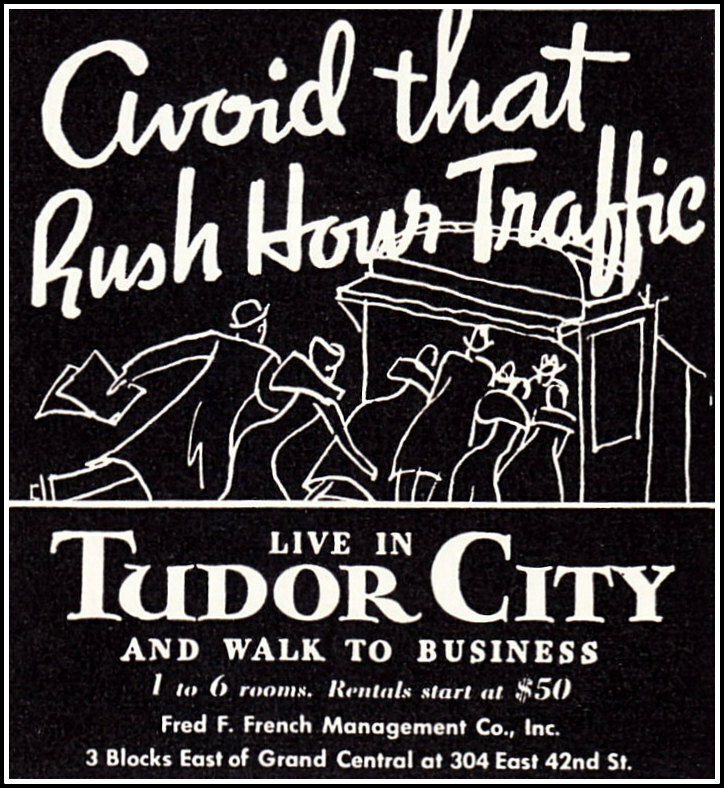 After that, all profits were equally divided between investors and the company in perpetuity. 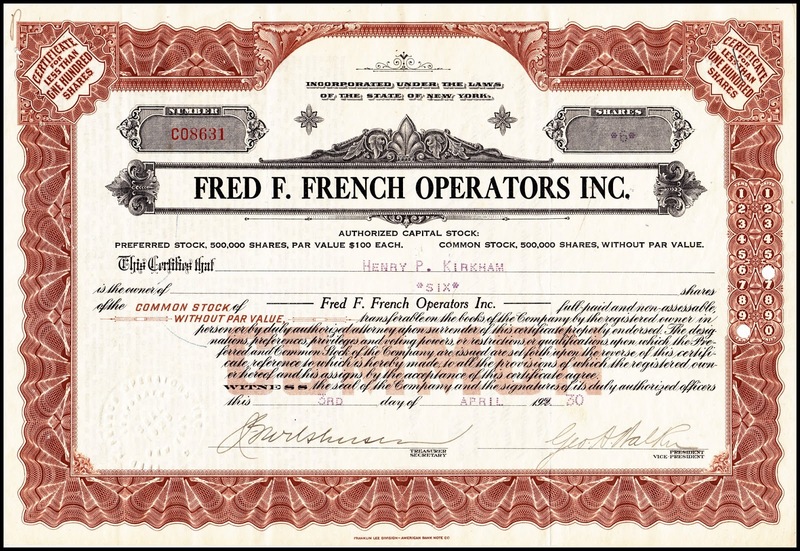 Fred French's philosophy: "We prefer a small percentage of profit on a large business rather than a large percentage of profit on a small business." 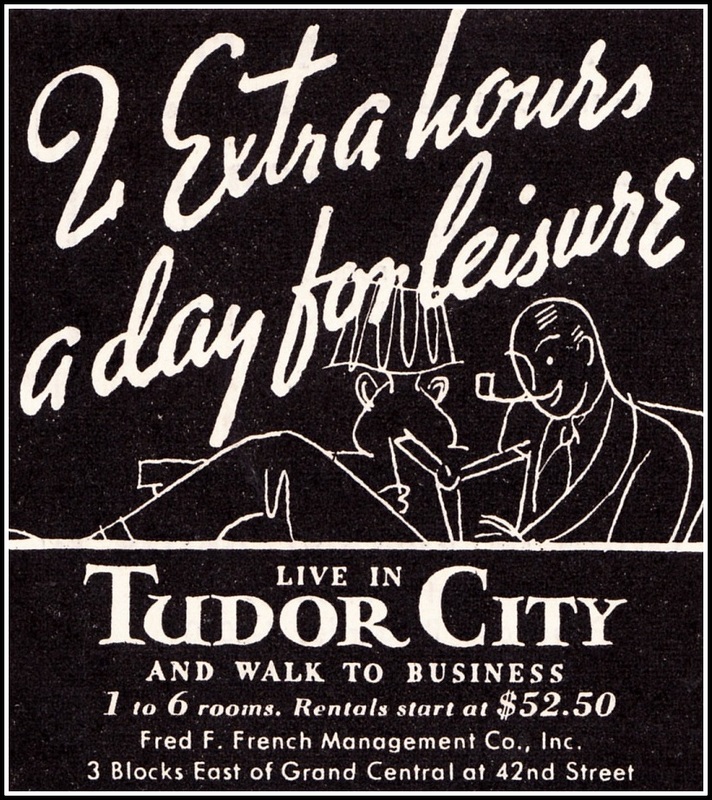 Further sweetening the deal was the fact that the French Company was made up of many subsidiaries ‒ architecture, building, underwriting and management arms ‒ that lowered costs and streamlined the operation. 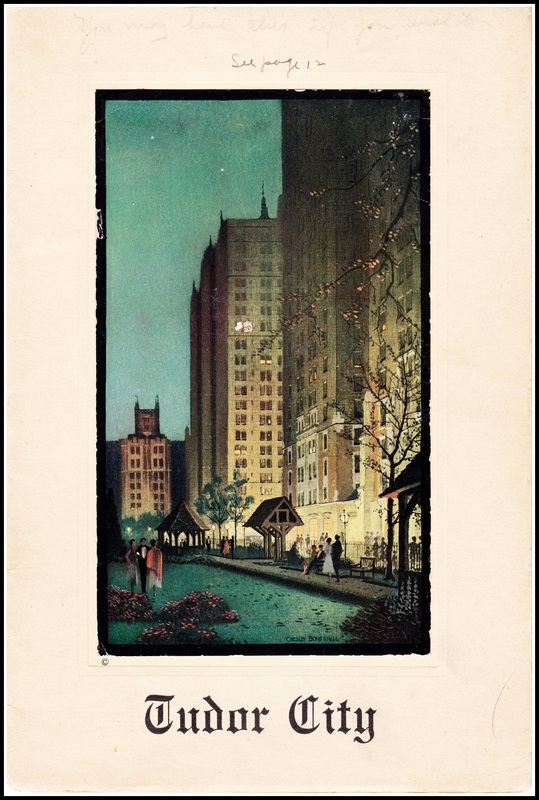 By 1926, the French Company had over 10,000 stockholders and a combined capital of nearly $100 million. 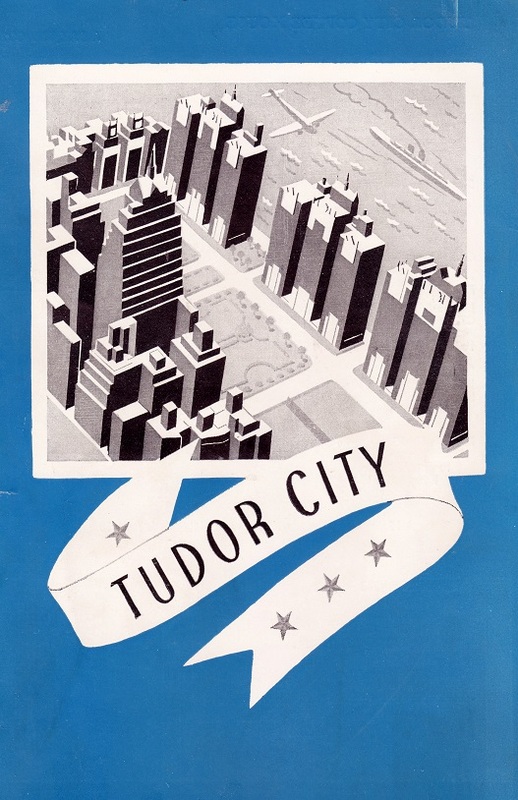 For the ambitious Tudor City project, each building was separately incorporated and financed with a mortgage and public stock. Stock certificate of six shares issued to one Henry P. Kirkham. 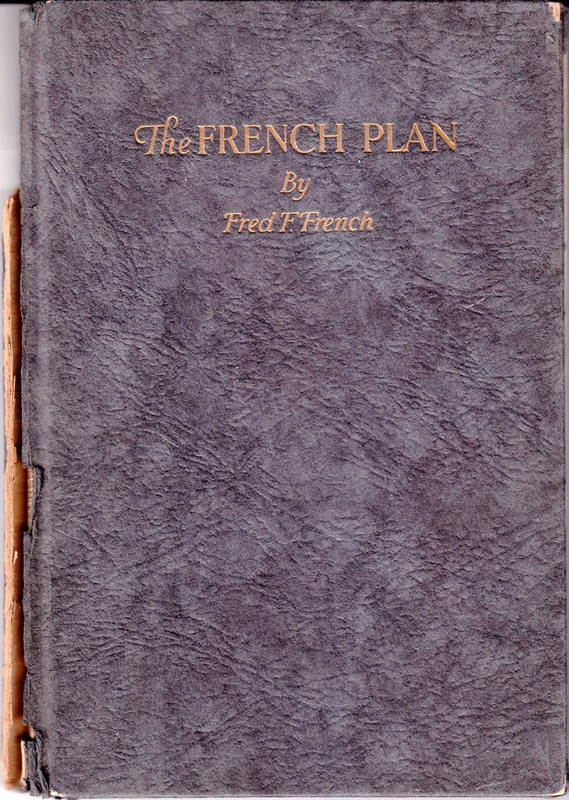 Although the French Plan stock repaid its investors' principle along with a six percent dividend, it ultimately proved to be no financial windfall. 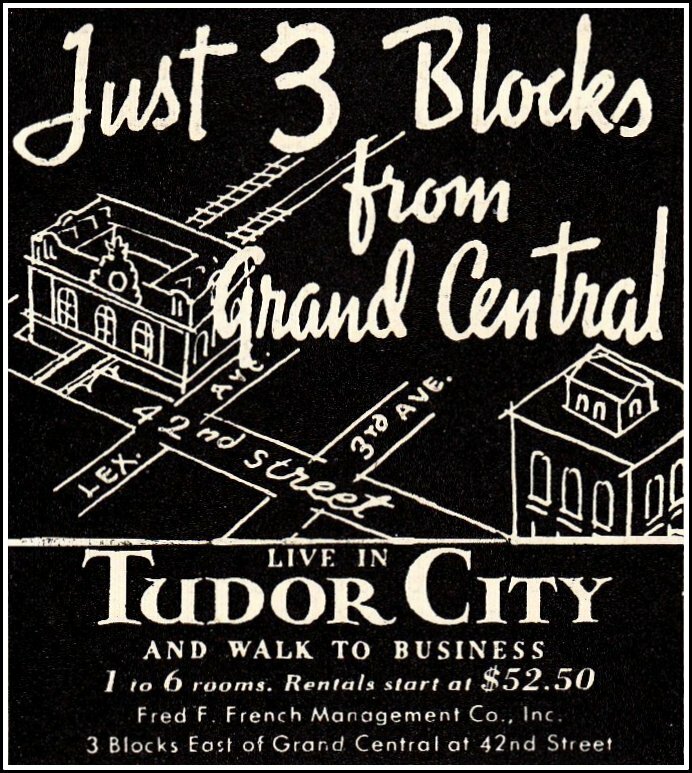 Tudor City was never wildly profitable. 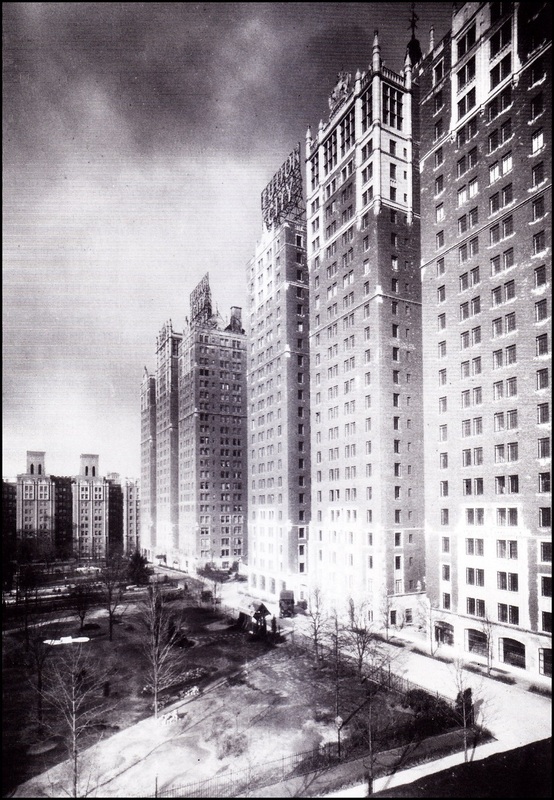 Occupancy shortfalls during the Depression depressed profits, and then, in 1943, the entire complex was placed under rent control, with mandated minimal rent increases. 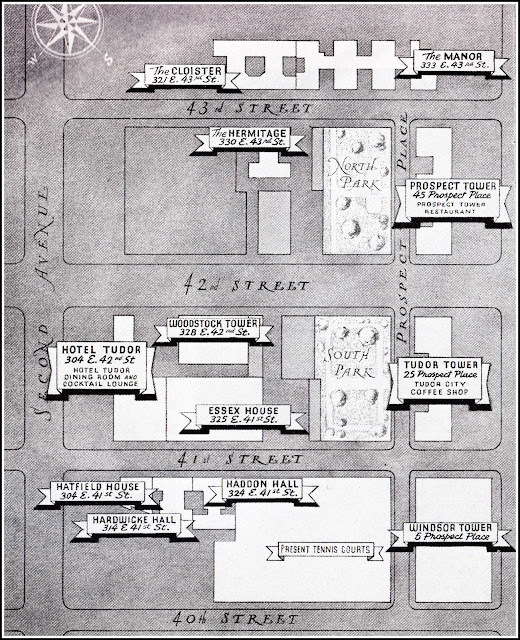 For decades thereafter, the colony's apartments rented at far below market value.